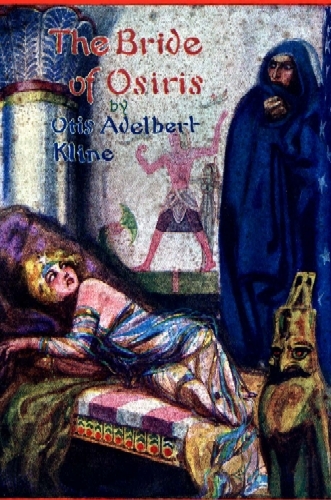 Doris Lee is kidnaped and carried to an underground city beneath Chicago to become the bride of Mezzar Haskin, who rules there in Egyptian fashion under the name of Osiris. 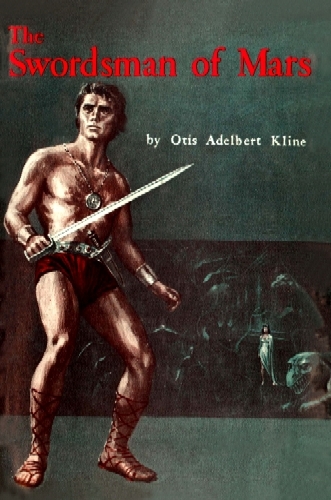 Alan buell and Dan Rafferty, trying to find and rescue Doris, are captured in the subterranean city of Karneter and led before Osiris for trial. Rafferty is assigned a post as electrician, but Buell is chosen to impersonate the Osiris N at the Festival of Re when he will be put to death. Harry Thorne, unable to find a job as a fencing master, meets Dr. Morgan who offers him the chance at adventure and excitement on the planet Mars. Thorne soon finds himself knee-deep in trouble on the planet Mars as he assumes the place of Borgen Takkor, a prince of Mars. When Captain Jerry Morgan, expert swordsman, left the American Army, his scientist uncle, Dr. Richard Morgan, had no difficulty in persuading the adventurous young man to take a trip to Mars in a space ship, directed by mental telepathy. Dr. Morgan had been in mental contact with a Martian scientist, Lal Vak. Jerry arrived in Raliad, largest city on Mars and capital of the Kalsivar empire. He is arrested as a spy, but Princess Junia, daughter of Numin Vil, the emperor, intercedes on his behalf. Manith Zovil, prince of a neighboring empire, kills Shiev Zovil, Junia's brother, in self-defense, but Jerry is accused of the killing and is condemned to death! Jerry soon finds himself, with the aid of Nisha Novil, an outlaw on Mars! Suddenly transported by psychic wizardry to the beautiful and mysterious planet, Venus, Robert Grandon, clubman and idler, a man who all his life had craved adventure, found it aplenty. Grandon was a fighter and fighting ability on Venus was the price of life. 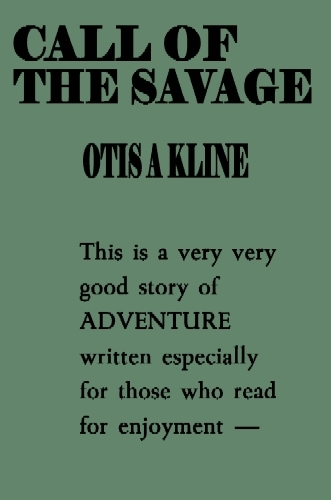 His adventures with savage men, ferocious beasts, gigantic reptiles, enormous blood sucking bats and other hideous animals, follow in quick succession. Then there is Vernia! This is a tale of amazing adventure. Through the discoveries of the scientist, Dr. Morgan, a young Martian's astral body is projected into the body of one Harry Thorne on Earth, and from Earth to Venus, or "Zarovia", where the man of Mars becomes Prince Zinlo of the mighty empire of Olba. Zinlo is instructed by Morgan's fellow-scientist Vorn Vangal in the universal language of Venus and other necessary items. 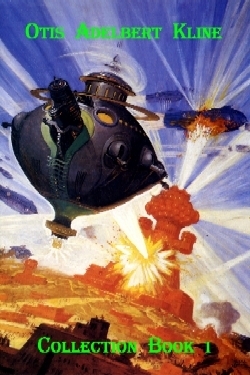 An attempt to kidnap him by Taliboz, secret foe of the empire, forces him to flee in an Olban airship. He crashes in the empire of Adonijar, where his quarrel with Prince Gadrimel over the Princess Loralie of Tyrhana is interrupted by Taliboz, who seizes the girl. Zinlo pursues. Follow his amazing adventures on Venus. 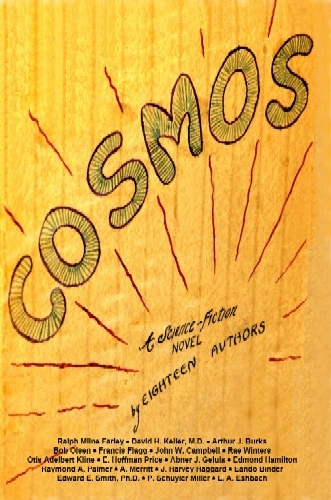 The text is the original magazine version from Argosy All-Story Magazine. Fully illustrated with the original artwork which accompanied the story in the magazine. 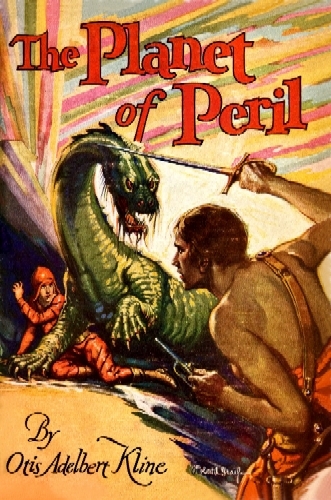 THE PORT OF PERIL continues the fantastic adventures of Robert Grandon as he encounters the Huitsenni, a weird, buccaneering race who prey upon all the nations of Venus alike, and who attack only in overwhelming numbers so as to insure victory and to prevent pursuit. When these strange beings abduct Grandon's bride, the latter realizes that he must conduct a campaign for their extermination. And out of this comes a tale of action in which event follows event at unparalleled speed, and always against a background of the most fantastic creatures and horrible men. 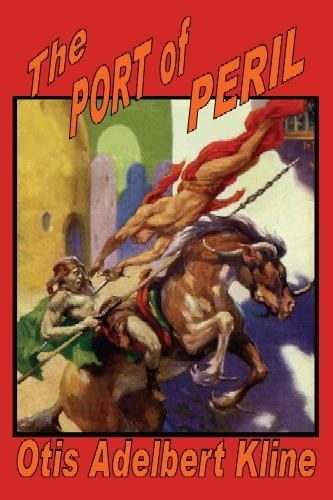 Originally titled "Buccaneers of Venus", the text used in this edition is the original magazine version from Weird Tales. Fully illustrated with the original artwork which accompanied the story in the magazine. FIRST TIME IN HARDCOVER--THE COMPLETE STORY! 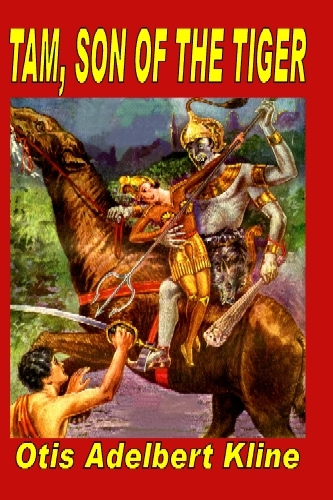 Burma was a land of mystery, of gilded Buddhas and almond-eyed dancing girls, of elephants piling teak, of shaven, yellow-robed priests, smoldering incense, the silver tinkle of temple bells, and the silent ruins of deserted shrines when Major Charles Evans and his family came on a mission that was to end tragically. Tam Evans was carried away by a white tigress when he was two years old. The son of the white tigress! There was a prophecy about the sone of the white tigress; he would be a great hero who would save the world from a terrible peril that involved the ancient gods of India. A strange and terrible people would emerge from within the earth on a mission of conquest and destruction, under the guidance of Siva, the Destroyer. Could Tam Evans be the youth of the prophecy? 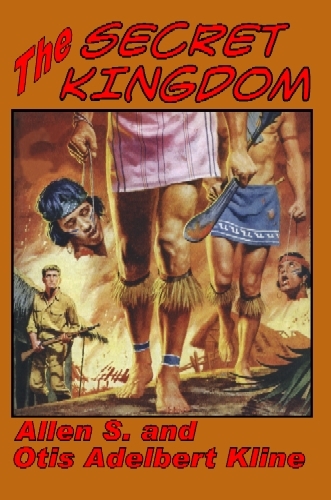 Here is a thrilling novel by the author of The Planet of Peril and The Prince of Peril--the tale of a strange civilization the world had forgotten, and of the destiny that fell upon Tam, son of the Tiger. Available in two different dustjackets. Fully illustrated with the original magazine artwork. Far from the world of his white parents, the sixteen-year-old youth, Jan, was raised in a cage under the watchful eye of half-crazed Dr. Bracken. Guided by his foster mother, Chicma the Chimpanzee, Jan was destined to execute the doctor's fanatical plot for revenge against Jan's real mother. A monster with the mind of an ape and the body of a man, that was his part in Bracken's twisted scheme. But just on the eve of the intended onslaught, Jan and Chicma escaped to the jungle and emerged near the Lost Empire of Mu. There, Jan must do battle with the gigantic puma, the grotesque thunder bird, and the god-monster Sebek. With all his fighting skill, there remained only one challenge to Jan: trace his origins and locate his man-parents. Raise in strange isolation with his only companion a great ape, Jan of the Jungle escaped to find himself alone against the jungle. There his muscles and his ingenuity were to be challenged to their utmost. With all his fighting skill, there remained only one challenge left to him: trace his origins and locate his parents. As JAN IN INDIA opens, Jan is with his reunited parents and his finance, Ramona. 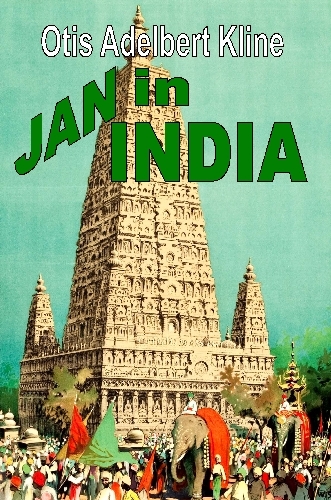 On a world-wide tour by yacht, through treachery, Jan is cast into the shark-infested waters off India, and Ramona is stolen by the Maharaja of Varuda to be his bride. 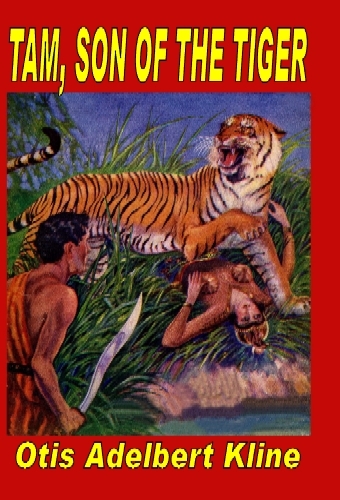 Follow the exploits of Jan of the Jungle as he strives to save his future wife from a hideous death at the fangs of the Black Tigress in a Temple of Kali! A missile is fired from Earth to hit the surface of the Moon. It is successful and the missile-men are heroes, until ... THE MOON FIRES BACK! Terrible Lunar missiles blast New York, London, and Paris. And an ultimatum is delivered from the unsuspected civilization of our satellite: "You have attacked us! You will pay the penalty!" Here are the stories of Hamad the Attar, the man who limped, the Dragoman. 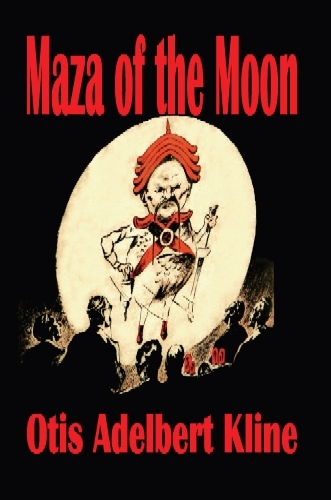 Here is the complete seven story series as originally published in ORIENTAL STORIES and CARPET MAGIC MAGAZINE, retypeset with the original illustrations. The fifth entry in the series was co-written by E. Hoffman Price. 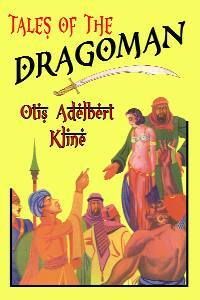 A collection of stories from Oriental Stories and Magic Carpet pulp magazines starring Hamed the Attar/Dragoman. 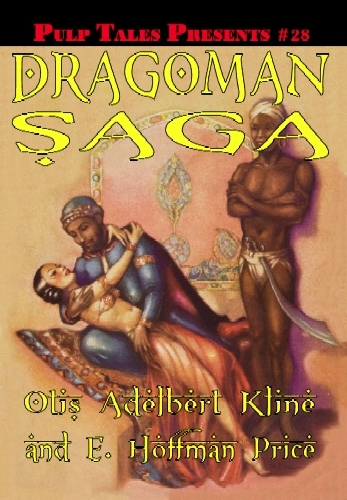 The Dragoman's Slave Girl--A fascinating story of Hamed the Attar, which has all the glamor of the "Arabian Nights"
Deep in a South American mountain hideaway lies a Secret Kingdom of Incas, descended from the race which Pizarro, the Spaniard, conquered. Into this realm Alfred Bell, scientist, finds himself transported by the Inca's men, forever to remain. Here he finds his true love, Nona. But, Tupac, the High Priest, is betrothed to her. How will Bell rescue Nona from the evil clutches of Tupac and to escape from this Incan Kingdom? Illustrated. 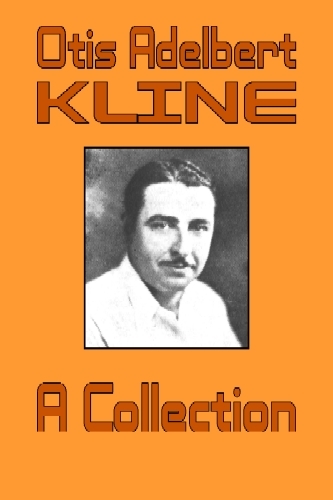 A collection of over 30 fiction and non-fiction works by Kline, including rarely seen works: "The Phantom Wolfhound", "The Malignant Entity", "The Radio Ghost", "Spawn of the Comet", "The Thing That Walked in the Rain", "The Metal Monster", "Canine Sleuth", "The Fang of Amm Jemel", "The Robot Beasts", "Stranger From Smallness", "I Have a Radio Mind", "What is the Source of Prophecy? ", and more. Illustrated. 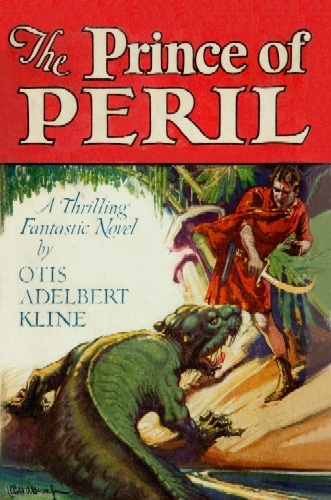 A seventeen chapter round-robin serial written by eighteen science fiction authors: Ralph Milne Farley, David H. Keller, M.D., Arthur J. Burks, Bob Olsen, Francis Flagg, John W. Campbell, Rae Winters (Raymond A. Palmer), Otis Adelbert Kline, E. Hoffman Price, Abner J. Gelula, Raymond A. Palmer, A. Merritt, J. Harvey Haggard, Edward E. Smith, Ph.D., P. Schuyler Miller, L. A. Eshbach, Eando Binder, Edmond Hamilton. An evil hitlerish dictator of one of the planets of Alpha Centauri, unsatisfied with ruling one planet, must spread out and subjugate others. He knows none to conquer in his own system-they are all either uninhabitable or invin-cible. So he casts his evil eyes on the solar system. This dog's name incidentally is Ay-Artz. There exist saviors on Lemnis, Ay-Artz's home planet. They are Dos-Tev, rightful heir to the throne of Lemnis who was bounced out by the rebel-lious Ay-Artz, his scientist friend and mentor Mea-Quin, and their servant-warrior-errand-boy Bullo. Hearing of Ay-Artz's evil designs they determine to warn to solarites and help defeat Ay-Artz once and for all. Their struggle to inform the various solar plan-ets' peoples of Ay-Artz's de-signs, the struggles of the people of Sol to defeat Ay-Artz and to defend their planets against him, forms the general run of the "novel's" progress. Eventually, of course, Ay-Artz is defeated-in the final in-stallment, written by old universe-wrecker Edmond Hamil-ton. Venus--Mars--Moon--Earth--Tales of Four Worlds! Visit Venus, the planet of peril in "A Vision of Venus" and "Volunteers From Venus". Visit our moon in "Race Around the Moon" and "The Man From the Moon". Visit Earth and Mars in "Meteor-Men of Mars" and "The Man From the Moon". 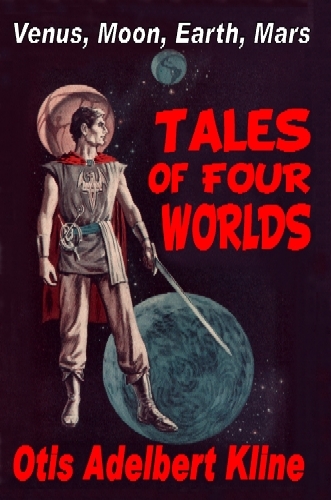 Five exciting tales from the sword-and-planet author, Kline. 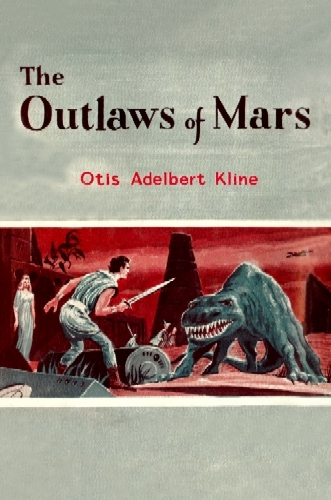 This first collection of stories by Otis Adelbert Kline contains "Revenge of the Robot", "Stolen Centuries", "The Iron World", "Man From the Moon", Meteor-Men of Mars", "Flaming Notes", "Office Flirt", "City Slickers", and "Writing the Fantastic Story". Fully illustrated with the original magazine artwork. 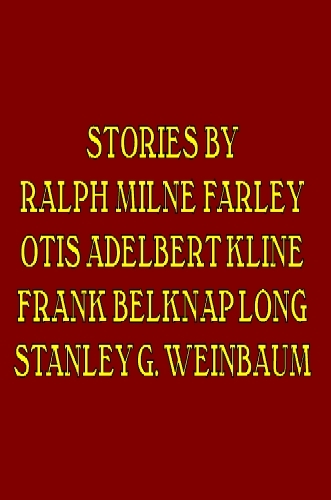 A collection of stories written by Ralph Milne Farley, Otis Adelbert Kline, Frank Belknap Long, and Stanley G. Weinbaum, plus poems and stories by Weinbaum while in the University of Wisconsin.